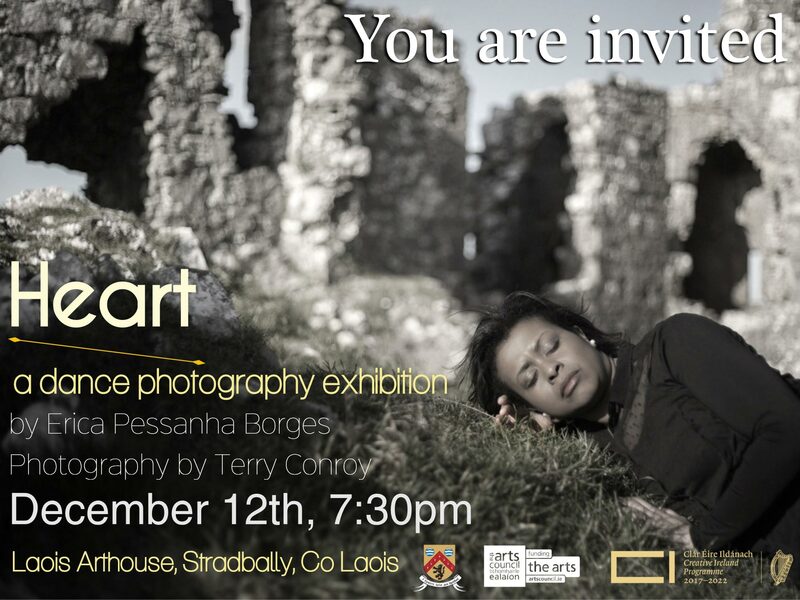 As part of the 2017 Creative Ireland Programme the Laois Arthouse Gallery, Stradbally hosted an exhibition of photographs titled ‘Heart’. 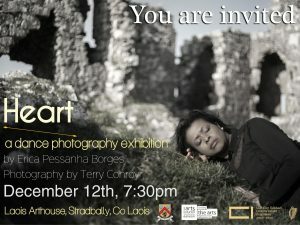 Comprising of a vibrant and unique collection of photographs created by dance artist Erica Pessanha Borges and photographer Terry Conroy. The beauty and richness of some of County Laois Heritage sites form the backdrop to the dance forms captured in this collection of photographs. The exhibition opened on Tuesday 12th December at 7.30pm by Jazmin Chiodi of Iseli-Chiodi Dance Company ran until 26th January 2018.